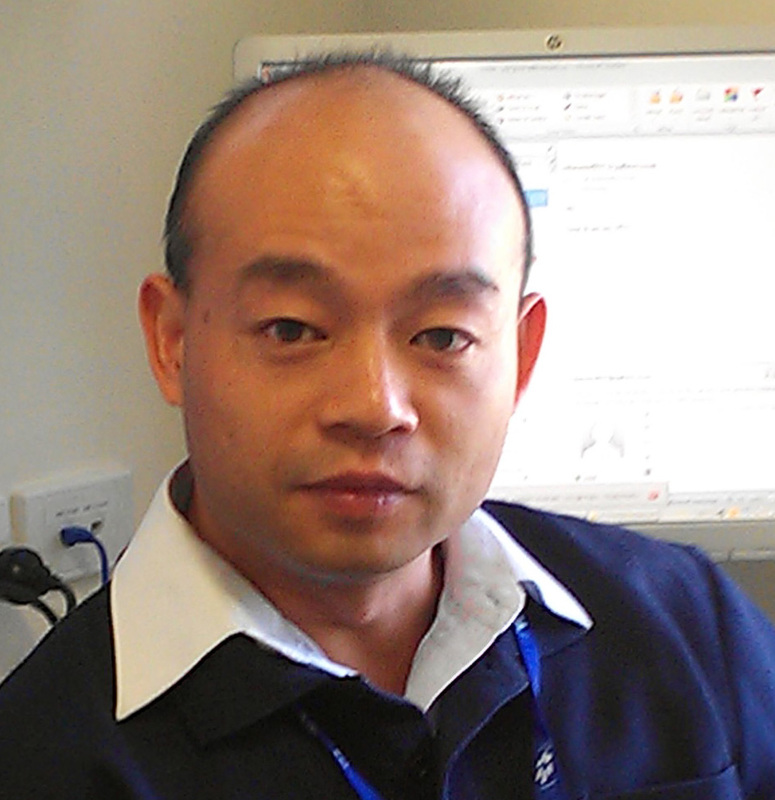 Dr Yong Song is a full time academic at the University of Western Australia. He graduated with M.D. degree and Master degree in Clinical Medicine in China in 1999. He subsequently pursued PhD studies with APAI scholarship and undertook a postdoctoral position at School of Molecular and Biomedical Sciences, Murdoch University, Australia. Since 2010, he was appointed Assistant Professor in the School of Anatomy, Physiology & Human Biology, the University of Western Australia. Over the last 5 years, he successfully obtained 6 competitive research grants, published 18 peer-reviewed articles (10 of these as first author), and 20 conference papers. He reviewed over 30 manuscripts for international journals in this interval as well. He also serves as an external reviewer for Australian National Health and Medical Research Council (NHMRC) Project Grant and Australian Research Council (ARC) Research Award application. Dr Song’s research focused on the neonatal respiratory biology. He is particularly interested in the molecular mechanisms underlying functional and phenotypic changes of the neonatal respiratory system in response to prenatal and postnatal injuries. He has extensive experience in developmental regulation, molecular signalling, cellular pathways, oxidative stress, epigenetic regulation and mitochondrial dysfunction, which render him capable of deciphering the fundamental mechanisms of newborn respiratory diseases. Yong Song, Tom La, Nyree D. Phillips, David J. Hampson. Development of a serological ELISA using a recombinant protein to identify pig herds infected with Brachyspira hyodysenteriae. The Veterinary Journal. 2015 doi:10.1016/j.tvjl.2015.08.021. Karisnan K, Bakker AJ, Song Y, Noble PB, Pillow JJ, Pinniger GJ. Interleukin-1 Receptor Antagonist Protects against Lipopolysaccharide Induced Diaphragm Weakness in Preterm Lambs. PLoS One. 2015 Apr 10;10(4):e0124390. David G Tingay, Graeme R Polglase, Risha Bhatia, Clare A Berry, Robert J Kopotic, Clinton P. Kopotic, Yong Song, Edgardo Szyld, Alan H. Jobe and J. Jane Pillow. Pressure-limited sustained inflation versus gradual tidal inflations for resuscitation in preterm lambs. J Appl Physiol (1985). 2015 Apr 1;118(7):890-7. Song Y, Demmer DL, Pinniger GJ, Lavin T, MacMillan MV, Pillow JJ, Bakker AJ. Effect of Maternal Steroid on Developing Diaphragm Integrity. PLoS ONE 2014 Mar 28;9(3):e93224. Polglase GR, Tingay DG, Bhatia R, Berry CA, Kopotic RJ, Kopotic CP, Song Y, Szyld E, Jobe AH, Pillow JJ.. Pressure versus volume limited sustained inflations: recruiting the preterm lung. BMC Pediatr. 2014 Feb 15;14(1):43. Song Y, Pinniger GJ, Bakker AJ, Moss TJ, Noble PB, Berry CA, Pillow JJ. Lipopolysaccharide-Induced Weakness in the Preterm Diaphragm is Associated with Mitochondrial Electron Transport Chain Dysfunction and Oxidative stress. PLoS ONE 2013: 8 (9): e73457. Song Y, Karisnan K, Noble PB, Berry CA, Lavin T, Moss TJ, Bakker AJ, Pinniger GJ, Pillow JJ. In utero Lipopolysaccharide Exposure Impairs Preterm Diaphragm Contractility. Amer J Respir Cell Mol Biol. 2013 Nov;49(5):866-74. Yang R, Murphy C, Song Y, Ng-Hublin J, Estcourt A, Hijjawi N, Chalmers R, Hadfield S, Bath A, Gordon C, Ryan U. Specific and Quantitative Detection and Identification of Cryptosporidium Hominis and C. Parvum in Clinical and Environmental Samples. Exper Parasitol. 2013 Jul 6;135(1):142-147. Lavin T, Song Y*, Bakker AJ, McLean CJ, Macdonald WA, Noble PB, Berry CA, Pillow JJ, Pinniger GJ. Developmental Changes in Diaphragm Muscle Function in the Preterm and Postnatal Lamb. Pediatr Pulmonol. 2013 Jul;48(7):640-8. (* Co-first author). Song Y, Pillow JJ. Ontogeny of Proteolytic Signaling and Anti-oxidant Capacity in Fetal and Neonatal Diaphragm. Anat Rec (Hoboken). 2012 May;295(5):864-71. Musk GC, Polglase GR, Song Y, Pillow JJ. Impact of Conventional Breath Inspiratory Time during High-Frequency Jet Ventilation in Preterm Lambs. Neonatology. 2012 Jan 14;101(4):267-273. Song Y*, Frey B, Hampson DJ. The Use of ELISAs for Monitoring Exposure of Pig Herds to Brachyspira Hyodysenteriae. BMC Vet Res. 2012 Jan 17;8(1):6. (* Corresponding author). Musk GC, Polglase GR, Bunnell JB, McLean CJ, Nitsos I, Song Y, Pillow JJ. High Positive End-Expiratory Pressure during High Frequency Jet Ventilation Improves Oxygenation and Ventilation in Preterm Lambs. Pediatr Res. 2011 Apr; 69(4):319-24. Song Y, La T, Phillips ND, Bellgard MI, Hampson DJ. A Reverse Vaccinology Approach to Swine Dysentery Vaccine Development. Veterinary Microbiology. 2009; 137:111-119. Naresh R, Song Y, Hampson DJ. The Intestinal Spirochete Brachyspira pilosicoli Attaches to Cultured Caco-2 Cells and Induces Pathological Changes. PLoS ONE. 2009; 4(12): e8352. Song Y, Hampson DJ. Development of a Multiplex qPCR for Detection and Quantitation of Pathogenic Intestinal Spirochaetes in the Faeces of Pigs and Chickens. Veterinary Microbiology. 2009; 137: 129-137.